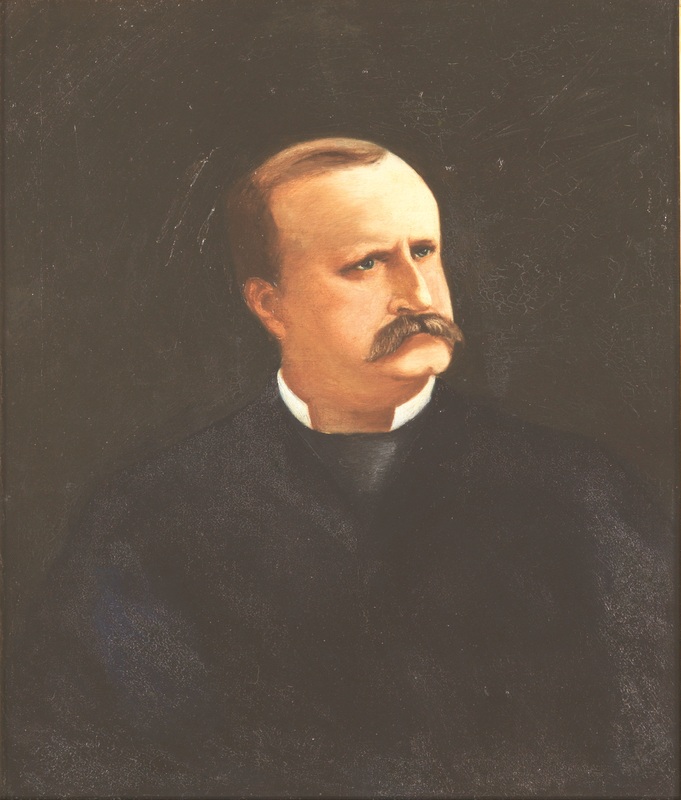 Elected by the General Assembly on February 25, 1882, to a 12-year term beginning January 1, 1883. Service terminated by the unanimous unopposed election of five new judges for the term beginning January 1, 1895. Defeated Joseph Christian, the nominee of the Conservative Democrat party, The Supreme Court: Lewis, Richardson, Fauntleroy, and Hinton to Succeed Moncure, Staples, Christian, Anderson, and Burks, The Daily Dispatch (Richmond, Va.), February 26, 1882, col. 4, retrieved on March 7, 2014; service terminated, Journal of the Senate of Virginia, 1893-1894 Session, 132-134, cited in Samuel N. Pincus, “The Virginia Supreme Court, Blacks, and the Law, 1870-1902,” (Ph.D. diss., University of Virginia, 1978), 42; career, E. Griffith Dodson, Speakers and Clerks of the Virginia House of Delegates, 1776-1955 (Richmond, Va.: Virginia House of Delegates, 1956), 57; birth, death, and education, “Resolutions of the Bar Association of Virginia Relative to the Death of Judge Benjamin W. Lacy,” presented to the court at Richmond on November 14, 1895, and published in 91 Va., v-xvi; attended the University of Virginia, University of Virginia Catalogue, 1858-1859 and 1859-1860, University of Virginia Law Library Special Collections; political affiliations, Death of Judge Lacy, col. 3, Richmond Dispatch, May 16, 1895, retrieved on March 20, 2014; portrait, Library of Virginia catalog. Lacy’s portrait was presented to the court in November 1916 at the request of family members; see “Garnett becomes commission’s head,” The Richmond Dispatch, November 17, 1916, page 3, column 3, retrieved from Chronicling America: Historic American Newspapers. Lib. of Congress. <http://chroniclingamerica.loc.gov/lccn/sn83045389/1916-11-17/ed-1/seq-3/> August 20, 2015.